"What kind of witness do you present to others? What would one find in your life that would make them want to follow Jesus?" Welcome to the Granite Bay Seventh-day Adventist Church located in rocklin, California. We are continuing our lesson that we just actually started not that long ago, and if you do not have a copy and you would like to study along with us, it's very simple, you just go to aftv.org, and you can download the current lesson of the Sabbath school quarterly. And if you are somewhere and you are close to an adventist church, I encourage you to go visit it, and you can get a hard copy. So before we get into the lesson, I'm going to tell you about our free offer. 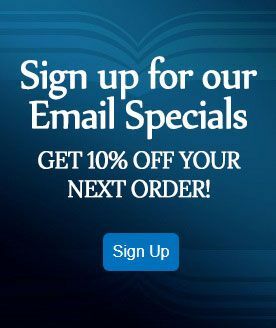 Every week, we have a free offer, and we would love to hear from you, so if you would like this, please go and contact us. It is offer number 842 entitled, "who needs the church." Great question. Number 842. 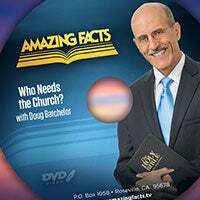 This is a dvd by Pastor Doug Batchelor, and for this you can call 866-788-3966, or the easy way is 866-study-more. So that a dvd if you would like to watch that. And also, we have a digital download. So this one is super easy. You just have to get out your phones and text. Text the code "sh096" to 40544. So "sh096" is what you're going to text to 40544, and you will receive your free digital download. 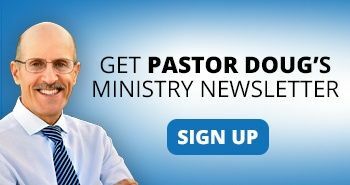 So go ahead, contact your local church for the quarterly, go online for our dvd, or get on your phone and text. There's so many different ways, and we would love to hear from you. Before we get into our lesson which will be brought to us by Pastor Shawn brummund, we have music like we do every week. But this week, it's special. We have special guests joining us from the pine hills Seventh-day Adventist school which is not very far from our church right here in rocklin, they're probably 20 minutes up highway 80 towards the mountains, and they are here, their group is called the choraliers, and they will be singing for us a song called, "grace," conducted by jill genobaga, and right now, they will bring us our music. Amazing grace! How sweet the sound that saved a wretch, a wretch like me I once was lost, but now I'm found I was once blind, but now I see 'twas grace that taught my heart to fear and I say grace my fears relieved how precious did that grace appear the hour when I first believed through many dangers, toils and snares I have already safely come 'tis grace hath brought me safe thus far and surely, grace will lead me home I shall go home when we've been there ten thousand years bright shining as the sun we've no less days to sing God's praise than since the day we'd first begun than since the day we'd first begun Before we get into our program, into our lesson, let's bow our heads for prayer. Thank you, father, for this opportunity that we have to be here today, here physically at the Granite Bay adventist church, and as an extended family all around the world, there are so many who join us each week, and I know that you know exactly who they are, and I just pray that you will be with each one of them as we open up Your Word and we study together right now. Thank you so much for your love, and your protection, and I know that right now, California is going through some difficulties with these fires throughout the state, and I just pray that those who have been affected that you will please just bring extra comfort and strengths to them right now as they figure out where to go from here. And not just the people here in California, but around the world who are suffering. I pray that you will just be very close right now. And as we open up Your Word and we study together, please just fill our hearts with your spirit and open up our minds, in Jesus' Name, amen. Good morning to everyone that is here. It's good to be here. It's good to continue to open God's Word as we continue to come together week by week. And we've been looking at a very important topic over the last two, almost two months now or a month and a half, and we will be until the end of this particular year which is, "oneness in Christ." And this is no small topic. It's one of the great doctrines. In fact, if you were to open up the book that we call the 28 fundamental beliefs of the Seventh-day Adventist Church, we recognize that this Bible teaching is so important that it's one isolated individual belief that we have because the Bible talks so much about it. And so it's important for us to be able to understand it. Amen? And so we're looking at that here today, and so today's lesson is entitled, "the most convincing proof," and that starts on page 72 if you have your lesson study with you, and so we have the most convincing proof. Well, that's a pretty cryptic title, isn't it? The most convincing proof of what? The most convincing proof of who or where or when or how? What does that mean? Well, we're going to find that out. If you've read your lesson study already, had you already know the answer to that because it's found in the lesson study. But we're going to be looking at it here today as well. So today is kind of a part two, if we could call it, from last week's study because as we came together and studied last week in lesson number eight, we've found that God has given a very real driving force that draws us together in unity and that is to come under the umbrella of like belief, and like teaching. In other words, the Bible has a number of what we call foundational or some might call it fundamental beliefs, and so these are, kind of, the bedrock, kind of, beliefs that set the stage for each and every member of a church. Now with the Seventh-day Adventist Church, as I just mentioned earlier, there's 28 fundamental or foundational beliefs that we all hold in common. And when you hold so much important information in common that naturally draws us together, doesn't it? It gives us something very important that's in common. Well, today is part two because not only is a common message of truth, doctrine, as the Bible calls it, important to be able to draw us together, but there is also something else that draws us together in a very powerful way, and that is the second powerful unifying force, and in extension to that, there's also another, if you could call it a subcategory of a driving force that draws us together, we'll talk about that today here as well. But the second foundational driving force that draws us together in unity is a common experience, okay? Last week, again, we looked at a common belief, and today we're looking at a common shared experience that God has intended for us to be able to have together. What kind of experience is that? Well, it's an experience that is empowered by the Holy Spirit. When one comes to surrender before Christ, when one comes to confess your sins, ask for cleansing, ask for God to be their Lord, and we open up our hearts, God doesn't leave our hearts empty, does he? He just floods right in with his Holy Spirit, and we become born again, as Jesus had taught the great nicodemus late one night in his meeting with him. And so it's very important for us to understand that there is a very strong driving force that draws us together and that is that we all share that born again experience, what it's like to have the Holy Spirit in your heart, and to be able to find that power that God gives to us. And as we come to experience that, of course, we come under the sacrifice of Jesus. We come to the foot of the cross as we have one or more hymns that have been sung that draws us to the foot of the cross where we find that there is a Savior, The Son of God that has died for us, and that blood that he shed is the blood that cleanses us. It's the foundational hope of the Gospel. It's the core of our hope as Christians that we might be able to understand and know that there is a God that has died for us. And not only has he died for us, but he didn't stay in the grave, did he? We also know that he rose back to life again. And so we also share that hope on the second half of the Gospel which is the resurrection, and not only the resurrection but then what Jesus started to do for us after that resurrection and that is become our high priest. And so now we know 24/7 that we can come before The Father in the name of Jesus, and under the blood of his sacrifice, and know that Jesus is an interceder for you and i, that he is living, that he is working for you and I in heaven even right now. So that's the great experience and extension of the message that God gives to us. And so in summary of that truth that I just shared with you, it's very important to understand that the message that God has given to us, the Gospel, the three angels' message, the great prophecies of Daniel and Revelation and other things that God has called us to be able to proclaim, all of that is only half of the witness that God has given to us to give to the world. So in other words, when we stand up before a television camera, or we're before a live crowd and we're sharing the message, that is a real part of the witness that God has given to us when we share with our coworkers, or fellow students, or our neighbors, and we start to give Bible studies, or share some literature, again, that message is a real and powerful first half of the witness that God gives us to the world. Well, what's the second half? The second half is people looking at us, and seeing Christ played out in our experience, in our words, in our behavior, in our attitudes. All of these different things is the second half of the witness God has for us for the world, is it not? And so people, when they come to know as Christians and they find that we believe in The Son of God, that we believe in the Gospel, that we believe in the Bible and so on, this is all very important, but this is not everything. God has called us to be able to... They start watching you, don't they? They start to see exactly how do you treat your wife? You know, how do you treat your husband? How do you parent? What do you do when you get in financial straits or, and such? And so our neighbors are watching us all the time. And so, not only are they watching us individually, but then if we manage to be able to get them to church, what are they watching? They're not just watching us now, they're watching all of you, aren't they? And they're looking around and saying, "well, what kind of people are these?" And so that's the second half of the message. Now as I was contemplating this very important truth, and the topic that we're looking at on that, there's very one outstanding personal experience that I just can't help from sharing. And so this is a very powerful illustration. My mother and father-in-law, denise's, my wife's name is denise, and her mom and dad is gisela and didier sockle. And as it turns out didier and gisela were instrumental in introducing both denise and I to the Seventh-day Adventist Church. I'd never heard of the seventh-day church until I was about 25 years of age and my wife about the same. And so denise and i, you know, some of you know, and if you don't know now, you know now that I was born and raised in Canada and so was my wife. And so at the time, we were living in Canada, and denise and I were going to toronto which is the other side of the country where we were raised and where our hometown is, and we're going there for denise's university studies. And during that three years that we were taking those studies in toronto, denise's mom and dad were invited to a Seventh-day Adventist health program. Now again, they had never heard of the Seventh-day Adventist Church. But one of their clients, their hairdressers, and one of their clients had invited them to a health program and that health program was called chip. Now some of you know that acronym. I've been involved in chip. Chip has been a very successful, very helpful health program. It's an acronym for coronary health improvement project. And that particular program was just being pioneered by dr.
Hans diehl at the time. And so he was actually in b.c., Canada, pioneering and starting to live lecture through this new series that he was developing. Well, as it turns out, my mother-in-law couldn't help but saying yes because the client had told her, "listen, this is a great program. It's called eat more and lose weight." And so she said, "how can I say no to that? I've been trying every diet under the sun. I've got to go and try this particular program.
" And so she showed up, and her husband came with her, didier, and the two of them started to just eat up everything, no pun intended. But they started to eat up everything that dr. Diehl was sharing with them. And then they brought gisela's mother which is denise's grandmother, and denise's grandmother was in serious dire straits with type 2 diabetes. And she was quite obese, her legs were going black, and the doctor was saying, "it's only a matter of months before she loses her leg.
" She's on high insulin every day. And by the time they got to the end the program in couple of three, four months after, she was off insulin completely, she'd lost 60 pounds, and she'd saved her legs, and now she is walking half an hour every day. And so this was a very powerful experience. And so didier and gisela became dr. Diehl's greatest evangelists. And they had a stack of his books in their hair shop that they owned, and they were just selling those to their clients all day long as they were coming through their shop and inviting them to be able to come to the program as well. There's one outstanding thing. At the same time, just shortly after that, denise and I moved back and we were staying with them as we're being established after denise graduated. We're staying with them in our hometown of kelowna, b.c. And so we found there that there was one key statement that gisela kept sharing in concern to her experience with the Seventh-day Adventist Church. Now, as it turns out, not only had she gotten to a chip program, but then that also led into going to Revelation seminar, into a prophecy seminar, and so she had also been well studied and exposed to the Bible truth and its message of the Seventh-day Adventist Church as well. But there's one statement that she kept repeating. "Shawn, denise, there's something different about these people." There's just something different about these people. Now sometimes when we say that, we get a little bit nervous, and we think, "well, what do you mean by different? You mean strange, weird, you know, mean? What is it that's different about them?" You know, when she said it, she said it with a smile in her face. "There's just something different about these people. They're very special." There's just something different that she could see. What was she seeing? She was seeing that there was a difference between her fellowship and time rubbing shoulders with Seventh-day Adventists, and rubbing shoulders with people in the world, or even with some of the churches that she had attended. She was grown up lutheran, and even though there are some beautiful lutheran people, she found that the Seventh-day Adventists had something extra special, and she could see that difference. And that's what we're looking at in our study here this particular week is that there is a witness that God has called us to be able to experience and to share with those who are observing us and experiencing us. And by the way, that led to denise and I also learning about the message. And in 1992, we had all gone to a prophecy seminar and the four of us were baptized and haven't looked back since. And so God does powerful things with the witness. Was it the message of the health program? Yes, that information was life changing. Was it the message of the Gospel and the three angels' message? Yes, that was a powerful thing. But was it also the witness of them observing the difference that they saw between us and other people? Yes, that was a key difference and that kept coming up to the surface. "Shawn, there's something different about those people." It was funny because then we became one of those people. And so for a number of years afterwards, you know, she'd been saying that for so long that she would say, you know, "yes, there's always something special about those people," and we'd remind her, "mom, you're one of those people." And she'd, "yeah, that's right. I'm one of those people." Now some of you have had the privilege of meeting them. They came and visited last, early spring around April there. And so, I know some of you had the privilege of seeing them. And the more you get to know them and the more you rub shoulders with them, you start to see there is something different about those people because God is shining through them in a very special and powerful way. And so, thank you, mom, thank you, dad, for being such great witnesses and shining for Jesus. Amen. Well, I invite you to come to page 72 which is the opening of our lesson study here today. Page 72, and I just want to read a quote as I kind of left you hanging with the title of our message here today which is, "the most convincing proof," and so we're going to go to the bottom of page 72, and read a quote there. It's by my favorite author outside of the Bible by far, Ellen g. White, and it's quoting from the Seventh-day Adventist's commentary that collected a statement from her. It says, "unity with Christ establishes a bond of unity with one another." Unity with Christ establishes a bond with one another. In other words, when we find ourselves connecting with Christ, there is a natural drawing power that God gives to us that binds us to one another. When we find somebody. .. You know, I was just driving over in vallejo to pick something up this week there. And I got a really nice sticker that I found on amazon which is a white sticker which is the church logo. And so I bought that, and it's about four or five inches high, and I put that on the back of my tinted window in the back of my car, and I thought, "hey, that's a great way of telling other people, hey, I'm a Seventh-day Adventist. I'm a Christian.
" And so I was driving there, and I pulled up to a light, and I happened to have my window down and the guy next to me said, "hey, yo, brother," and I said, "yeah, what is it?" He goes, "so you're a Seventh-day Adventist?" And I safid, "yeah, yeah." Well, the light turned green, we had to keep going. And he goes, "I am too. Have a blessed day." You know, and we continued on down the street. And did that make my day? It did, didn't it? And what was it that got him excited? Was it that I was driving a car that he really liked? The sticker. It was the sticker, and the sticker told him that I was a fellow believer, and so he got excited about that, and then I got excited about that. There was a drawing power there, wasn't there? We had a like experience, we have a like hope that we share with one another, and we were excited about that. And I know many of you are excited about that as well. And so that's the drawing power. I didn't finish the statement yet, did i? "Unity with Christ establishes a bond of unity with one another. This unity is the most convincing proof to the world," there it is, "the most convincing proof to the world that the majesty and virtue of Christ and of his power to take away sin.
" And so that's kind of the subcategory, the second driving force of the witness that God gives to us, the message but also then the witness of our experience. And part of that witness of our experience is that Christ then, when we become born again, he starts to take away our sin, doesn't he? Does he forgive us for our sin? Yes, he does. But when... She's making that statement that it is a powerful proof of Christ and his power to take away sin. He's not just talking about taking away the guilt, but he's talking about removing active sin in our life in a real way. Okay. Now does that mean that he starts to help us to keep the Ten Commandments? Yes. So if I was a thief, he starts to help me to be honest, and not take anything that doesn't belong to me. If I had an honesty problem, he starts to give me honest words instead of dishonest words. And so he starts to take away that sin, and that's a powerful part of our experience and witness to the world. We're going to read later a little bit as well that it's not just keeping the Ten Commandments, but it's also taking away malice. It removes revenge, it removes envy. Have you ever experienced envy from somebody else against you? Maybe you've experienced yourself toward someone else. You know, God takes that away. And does that make our fellowship sweeter when jealousy is taken out of the picture? Of course, it does, doesn't it? Jealousy is a wicked thing that really destroys relationships. And so when we have that eliminated out of the factor, it makes us more bound and happier with each other, isn't it? Okay. So we take away envy, jealousy, bitterness, gossip, and slandering. All these things God takes away as we give our hearts to him and we share that life experience. And so it's important to understand that church unity is a spiritual gift that comes from God. Spiritual unity or church unity is not something that we can, kind of, materialize or manifest in our own strength, in our own wisdom, in our own ability. There's no special seminar or formula that we can come up with outside of connecting with Christ. And so it's important for us to understand that true unity in the church is a supernatural phenomenon. The Holy Spirit is at the foundation of that unity. And that's why it's important when we find that our unity is being threatened that we find ourselves more time on our knees, why? 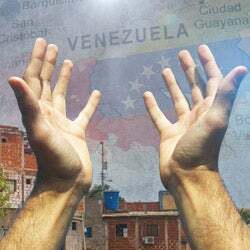 Because it's only on our knees asking for the Holy Spirit, to soften our hearts, to guide our minds, and to help us to understand where that unity might be threatened and how God would have us do our part to be able to contribute to a better unity within the church. And so it's very important for us to understand that unity is a spiritual gift from God, just like the other spiritual gifts are given to us as well. Well, we're going to open our Bibles here to 1 John 1:7, and we're going to have a volunteer read that for us. We're going near to the end of the Bible. 1 John 1:7, we find a very powerful verse that not only shares the Gospel as we talked about that draws us together, but also the light of God. 1 John 1:7, who is our volunteer? Thank you, hafdis. John 1:7. "But if we walk in the light as he is in the light, we have fellowship with one another, and the blood of Jesus Christ his son cleanses us from all sin." Okay. Thank you. Okay. So very powerful text that brings us to a very important question, and the text is telling us that if we walk in the light as he is in the light, then we have something very special. We have fellowship with who? Well, we have fellowship with Christ, that's what other verses say. But in this case, it doesn't say that we have fellowship with Christ, but it says we have fellowship with one another. And so walking in that light again, and so again, not only having our sins forgiven and believing in the message, but then also finding that elimination of sin in our life that makes us much more lovable, and amiable, and much better people to get along with and enjoy each other much more, why? Because now we're replacing sin with love, and with righteousness, and truth, aren't we? And so that's the beautiful, powerful witness that God has for us. Now there's a very important question that we need to ask ourselves at this juncture. And this particular question is one that has been asked by many Christians, and most of the time they get the answer right, and it's in line with the Bible. But sometimes as a pastor, over the years, you are exposed to a number of different theologies and conclusions that aren't so in line with the Bible, and this is one of those. And so what is the question? When we find ourselves as spirit filled believers, does this mean that all our works and attitudes of the flesh easily and naturally disappear without any effort? Okay. In other words, once we come to surrender with Christ, we confess our sins, we ask for the Holy Spirit in our life, we become born again. Does that mean that all sins and attitudes and faults in our character just kind of fall to the wayside, they just fall on the floor, and we just walk in the perfection of Christ from that time forward? No, some of your smile doesn't say, you know, some of you have been Christians for more than a day. And so because of that, you've experienced that, you know, not everything disappears right away. Now I don't undermine the fact that, and I know this by personal experience, when I was 21 years old, that summer I started to turn 21. The Holy Spirit flooded into my life as he has with you when you opened your heart to him, and I started to experience an elimination of sin in my life that was just fantastic. It was powerful and it was a witness. You know, even my mother, who is still not a full believer today, you know, she confessed to me about a year later. She said, "shawn, you know, I have to confess. There's something very different about you. You've changed." And she didn't give me the details, but we both knew what she was talking about, you know? Suddenly, I wasn't self-centered. Suddenly, all that arrogance and vanity and all these different things that sin had cultivated in my life had disappeared. And so God had made me new indeed. "All things had become new." And so that statement in the Bible is very true. But the fact of the matter is that not everything disappeared during that first year. And some of our sinful weaknesses and attitudes, we started to discover after baptism, they don't want to vacate quite as fast as some of the others, and they don't go away quite as easy as some of the others. And so we come back to the question. This brings us to a very important question. When we find ourselves a spirit filled believers, does this mean that all works and attitudes of our flesh easily and naturally disappear without any effort? Well, no, not at all. Did the Scriptures tell us this? Well, as it turns out, when you go to the Bible, there is just lots and lots. .. In fact, the Bible is loaded with hundreds of verses instructing us in God's holy ways. Now, friends, the Bible would be only half the size if we removed all the Scriptures that tell us God's ways and how he wants us to live as Christians. Now if everything just kind of happened naturally, why would he bother putting half of the verses that are found in the Bible telling us how to live? If we just live naturally and easily and without any effort, we wouldn't need half the Bible, would we? Okay. Is there Bible instruction that tells us how God wants us to live after we become born again, after we're baptized? Sure, there is, isn't there? Okay. That's why we keep coming back to it. That's why we keep coming back to it. We wouldn't need all that instruction if it came easily. Well, the first example, let's look at a couple of Bible examples before that. One of the most obvious ones is Exodus chapter 20, we have the Ten Commandments. If we kept the Ten Commandments naturally, we wouldn't need the Ten Commandments in the Bible, would we? But we have them there, why? Because God is there not only to instruct us when we first are baptized and want to walk with him, but he keeps reminding us as we come back to those Ten Commandments. And so that's important as well. What about the love chapter? 1 Corinthians, chapter 13, we find the key verses there that describe true love in verses 4 through 6. Now this is not a small passage and these are very important verses, why? Because Jesus said, "the two greatest commandments in the Bible is to love the Lord, your God, with all your heart, your soul, and your mind, and to love your neighbor as yourself." Okay. Now that love is expressed through the Ten Commandments as well. The first four is in relationship to our love relationship with God and the last six is regarding our love relationship with each other as human beings. But is that the end of the story? No. And Jesus says that we shall love our neighbor, the second greatest commandment in all the Bible. He also gave us the love chapter in verses 4 to 6 in verse 13 to tell us more about what love is. He tells us that love suffers long and is kind. Love does not envy, okay, that's jealousy again. Love does not parade itself. What does that mean, parade itself? Okay, somebody said to show off, okay, to brag. If you're to love your neighbor, you're not going to brag to your neighbor, you're not going to show off. Love is not puffed up. That's arrogance, and vanity, and self-centeredness. Love does not behave rudely. So every time we behave rudely to another human being, we've broken the second greatest commandment in the Bible. Have you ever confessed at the end of the day? Lord, forgive me for being rude today for breaking the second greatest commandment in the Bible. Love does not seek its own. In other words, it's not selfishness, not self-centered. Love is not provoked. There is another one. Lord, please forgive me for being provoked on the road today. I was coming down the i-80, and well, you know what happened. I don't want to go over the details again, but Lord, I was provoked today. Please forgive me for breaking your second greatest commandment. Love thinks no evil. It does not rejoice in iniquity but rejoices in the truth. Romans 13:1, and then also verses 6 and 7. It says, "let every soul be subject to the governing authorities. For because of this, you'll also pay taxes." Now, I've met more than a couple of church members that don't like the government, and not so convinced that they should obey and submit to the government. I've also met some church members that are not always convinced that they should pay their taxes. Okay. In other words, that part doesn't come naturally, we have to surrender and make a prayerful effort to be able to obey God in concern to paying our taxes even if we don't like it. God calls us to do it. Yeah. "Paying taxes, for they are God’s ministers attending continually to this very thing. Render therefore to all their due: taxes to whom taxes are due, customs to customs, fear to whom fear, and honor to whom honor." We are to honor our political leaders even if we don't like them. We may not agree with everything that they're doing, or that they believe in, or that they're pushing for. We still are called to honor them, aren't we? We're still called to give the due customs as well. Ephesians 4:25-32. It says, "therefore, putting away lying, 'let each of you speak truth with his neighbor,' for we are members of one another. 'Be angry, and do not sin.'" Now this is Paul speaking to church members. "And do not sin. Do not let the sun go down on your wrath." In other words, make sure that you get a hold of your temper. "Do not give place to the devil. Let him who stole steal no longer, but rather let him labor, working with his hands what is good, that he may have something to give to him who has need." And so in other words, the Bible here is instructing a believing ex-thief, and he's saying, "listen, rather than steal any more, you need to do the opposite. You need to turn it right upside. Turn your life completely upside down. Rather than taking what doesn't belong to you for your benefit, now go out and make a honest living with good, hard, productive labor, and then take those proceeds to not only feed yourself and your family, now, to give to those who have a need. So rather than taking from people, now you go out and give." It's a beautiful picture, isn't it? And so there are those within the Ephesians' church that were listening and saying, "you know what? I need to do that." "Let no corrupt word proceed out of your mouth." Now there is a good counsel. You know, as a pastor, sometimes we're in the room and some church members don't realize it at first, and they're sharing in a conversation with somebody else on the phone or another church member, and they're using some language that I know they wouldn't use if they knew I was in the room. You know, God calls us to let no corrupt word proceed from our mouth. In other words, God is saying, "listen," one of the beautiful and powerful things that come with being born again as a believer is that you start to eliminate some of your vocabulary. And there are certain words they used to use that you don't use anymore. And so God is instructing us in these things. And sometimes, that doesn't disappear right away. You know, I've had church members that have been sincere Christians for many years, and they'll say to me, "you know, the other day, it slipped out, you know?" Again, "somebody provoked me on the road, and I said something that I shouldn't have, and so I had to confess." How did they know that it was wrong when it happened? Well, there was conviction from the Holy Spirit, but that conviction was much strong because of the fact that they had read the instruction where God had several times in the Bible told us that we should have clean language. And so it's that instruction that's important for us to understand and how valuable it is. Before we read the rest of this particular passage, I'm thinking of Proverbs, and once... I've read through Proverbs many times, but we were studying it through our midweek study once, verse by verse. And as we're going through the Proverbs, as you go through the first several chapters, you'll see there that God says over and over and over again, "do not get caught up in adultery. Do not lust after one another and do not, you know, watch out, and stay your distance from seductress woman or seductress men and so on, seducing men and seducing women." You know, but he doesn't say once or twice or three times, he says it like these many times. You know, did we understand it the first three times? Yes. Then why does he say it 12 times? Well, because he knows that we're slow at hearing sometimes, and that he knows how important that instruction is. God has been watching us for many centuries, and he know how easily we can fall into adultery. Does adultery happen today in America? Sure it does, doesn't it? Okay. Adultery is a rampant problem that we have in our society today. And the church is not exempt from that. Now the rate is much lower fortunately within the church, but being a Christian doesn't mean that you're automatically immune to that. And so God repeats it dozens of times throughout the Bible to protect our marriage, and to protect our relationship with each other, and with God. And so he gives us that important instruction. Yes. Where were we? Verse 29. "Let no corrupt word proceed from your mouth, but what is good for necessary edification, that it may impart grace to the hearers. Do not grieve the Holy Spirit of God, by whom you were sealed for the day of redemption. Let all bitterness, wrath, anger, clamor, evil speaking be put away from you, with all malice. And be kind to one another, tenderhearted, forgiving one another, even as God in Christ forgave you." Is that very clear obvious instruction? Sure it is, isn't it? Okay. So as a Christian, we can walk through life and not even realize, "hey, wait a minute, you mean, God doesn't. .. You know, if we don't come to this instruction, we might not even understand that God wants to take all malice out of our heart or bitterness and so on." And so these things he gives to us, and if he knew he didn't have to have it instructed to us, he wouldn't have put it in the Bible. And so the very fact that we find it repeated over and over and the Bible tells us that he knows how often that we need to hear it, and we need to be instructed more than once through our experience. And so all of this reveals something very, very important in response to the question that I proposed, and that is that God knows that it is important for us to cooperate with his instruction through prayerful conscious effort. It's a decision that we need to make daily. When we get up in the morning, God is calling us to daily ask for the baptism of the Holy Spirit. "Fill me with the Holy Spirit that I might not be left in walking without you today, and then also deciding that I'm going to surrender and obey you today. I'm giving you my decided obedience, my conscious obedience. I'm going to cooperate with you." And sometimes, obeying God as a born again believer is not easy. Sometimes you don't want to obey him. But God is saying, listen, even in times when you don't want to obey him, you're going to decide to obey him anyway. And that's part of the Christian growth experience, and part of that also is confessing when we fall short. And then what do we do? We pray for forgiveness of the sins, but what else do we pray for? We pray for the victory over that sin, don't we? And so we say, "Lord, not only forgive me for that sin, but please give me better victory over this particular weakness in my life in the future." And that's the kind of prayers that God is looking for. And I fear that we're not bringing those prayers to him as often as we should. This should be a daily experience, you know, Lord, help me, give me victory over these different faults in my character and in my life. Well, come with me to one of my favorite verses. It's in the same neighborhood as 1 John, it's 1 Peter which is just one book back. 1 Peter 1:22. 1 Peter 1:22. In verse 22, it says, "since you have purified your souls in obeying the truth through the Spirit in sincere love of the brethren.
" And so there again you have that full picture there. You have purified your souls in obeying the truth, make it a cited obedience and surrendered to God through the help of the Holy Spirit. Of course, we never want to find ourselves doing it by ourselves. So the first thing we ask every day is for the Holy Spirit, and then we ask for him to give us victory over sin, and make a decision for obedience. Yeah. We get ourselves in big trouble for not doing it in the Spirit. "In sincere love of the brethren, love one another lackadaisically with a pure heart." Is that what it says? No. It says, "love one and one another fervently with a pure heart." And so how much love should God see with one another as fellow believers? Fervent love for one another. And so I love that. I just love that verse because many times it says that we should love each other, but here Paul has got us inspired. .. Peter, I should say to put in there fervently. What as powerful, powerful adjective to be able to add to that action of love that God has for us. And so there should be a very fervent love that we have for one another. When people see us, they should say, "there's just something different about those people. There's something special. They have this fervent love for one another." All right. We're going to run out of time if we don't get to our second volunteer here. Ephesians 1:7. We're going to go to Ephesians chapter 1, and we're going to read verses 7 through 10. Ephesians 1:7-10. Ephesians 1:7-10. "In him we have redemption through his blood, the forgiveness of sins, according to the riches of his grace which he made to abound toward us in all wisdom and prudence, having made known to us the mystery of his will, according to his good pleasure which he purposed in himself, that in the dispensation of the fullness of the things he might gather together in one all things in Christ, both which are in heaven and which are on earth, in him." Okay. Thank you. So here we have a very powerful, very deep passage here where Paul is reflecting on the greatest act of love that God has given to the planet, and not only to the planet, but as we read in verse 10, and we'll expand on that in a moment, to the whole universe of intelligent beings. And so when Jesus had purposed and then went through with that plan and died on that cross, there is a powerful Gospel and message, a foundational truth that draws us together as Christians. It is the great hope that God gives to us, that voluntary cross. That is not only the foundational truth of the Gospel, but it's the ultimate vindication of God's true character. When Jesus died on that cross, it was the last elimination of any nagging thoughts or doubts or questions that were in the minds of any angels in all of heaven and all the universe because they saw there, the true character of satan being revealed for its fullness and in the fruit of the pathway that he had chose in rebellion, but it also revealed the great truth of the heart of who God really is, that God indeed has the best interest of us in mind at all times, not just most of the time, all time. And because of that, we can believe everything that God says. Anything that God tells you and i, we can trust implicitly, and know that he has our best interest in mind, why? Because he was willing to go to the ends of the universe and do anything he needed to be able to save us. That's how much he loves us, including a horrible, terrible death on the cross. And so this is the great hope. You know, what reflects on Genesis chapter 3 where we have that historical conversation between the serpent who has been used by satan and that of eve. And as they were talking, you know, the serpent started, "has God truly said that you shall not eat of every tree of the garden?" And then she rightly, you know, reflects upon God's orders, and says, "no. God has warned us, and told us that we can eat of all the trees of the garden except just the one, the tree of the knowledge of good and evil." And then he went on, the serpent responded and said, "well, you will not surely die, and not only that but God is holding back on you. You can't trust everything that God... God doesn't have your best interest in mind fully. He's holding back on you. He doesn't want you to be like Gods and be like me and have freedom and liberty to be able to have the knowledge of good as well as evil.
" And that same... By the way, that same conversation was also started in heaven as the great rebellion of lucifer started in heaven even before it came to the earth. We find that in Isaiah 14, Ezekiel 28, Revelation, chapter 12. Opens the windows for us and helps us to be able to see that that rebellion actually began in heaven. And so the very same words that lucifer had won a third of the angels in heaven into rebellion with was the same words that he shared with our first mother and father. And so we need to be able to draw away from that and come to the cross and know that when we come to this great truth of God's great love for us and his sacrifice that we can trust him implicitly as his citizens of his kingdom. By the way, the Bible tells us that God has citizens not only on earth, but he also has citizens in his kingdom in heaven. Millions upon billions of angels are also part of his great kingdom. And what I like about verse 10 is that it's the great end to the Great Controversy. This great battle between good and evil, this war that is taking place between Christ and his angels, and between satan and his angels, which are also called demons, by the way. And so there's this great warfare that's taking place. But verse 10 tells us, "that through the dispensation of the fullness of times he might gather together in one…" and how many? "In one all things in Christ, both which are in heaven and which are on earth, in him." And so Christ's death on the cross did not only win a great and powerful unity among us as believers, but it also won an eternal unity amongst the angels of heaven as well, those who are in heaven. And so the cross is where Jesus won the battle. This is where the battle was finally won. Now he's letting some of the things play out that we might be able to learn our lesson in, and know that indeed the cross of Christ, and the character of God is worth trusting, and can be trusted implicitly, and the words of satan really are not the better pathway. And so in page 75, we'll close with that because I see that we're coming to a close in regards to our time. And so let's go to page 75. And I'm going to read a quote again from Ellen white here, and this comes from the signs of the times, 1902. It says, "what Christ was in his life on this earth that every Christian is to be." In other words, the way that Christ lived is the way that we are to live. "He is our example not only in a spotless purity but in patience, in his gentleness, and in his winsome disposition.
" Isn't that fascinating? And so she points out, she is inspired by God to tell us that not only are we to imitate and emulate his perfect moral purity, but also we are to remember that we are to be like Jesus in his patience, his gentleness, his winsomeness of disposition. And so God has a character development in us that includes the Ten Commandments but it also involves some of these different attitudes and character traits that God wants us to have just like Jesus as well. Well, there is a few other things that we want to look at here, but unfortunately we're out of time. But God continues to bless us, and give us unity as we come together, and as we give that second powerful witness to the world, and that is the experience and character of Christ working through us. God bless you. Thank you for joining us here on Sabbath School Study Hour. We look forward to having you join us next week and we wish you a blessed week. Don't forget to request today's life changing free resource. Not only can you receive this free gift in the mail, you can download a digital copy straight to your computer or mobile device. To get your digital copy of today's free gift, simply text the key word on your screen to 40544, or visit the web address shown on your screen, and be sure to select a digital download option on the request page. 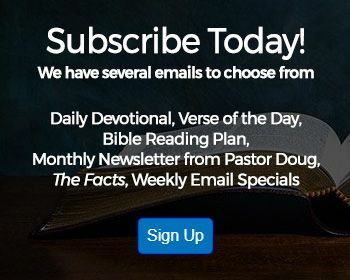 It's now easier than ever for you to study God's Word with Amazing Facts wherever and whenever you want, and most important, to share it with others. Hello, friends. We all know a marathon is one of the longest and hardest races a person can run. But did you hear about the ultramarathon they used to have in australia? It was 544 miles from melbourne to sydney. It attracted as many as 150 world class athletes. But then something happened that no one would ever forget. In 1983, a 61-year-old potato farmer named cliff young decided to enter the race. People were very amused because he had on rubber galoshes over his boots. And when the race began and all the runners took off, sure enough, old cliff was left behind shuffling along very slowly, but he was shuffling very persistently. Normally, during this seven-day race, the runners would go about 18 hours running and then they'd sleep for six hours. But nobody ever told cliff that. When the other runners stopped to rest during the night, cliff just kept on running. Some people were afraid old cliff was going to have a heart attack, and they were asking the race organizers to show mercy and stop the crazy old man. But he would have none of it. Each day, he was gaining on the pack because when they were sleeping, he was plodding along. During the last night of the race, cliff passed all of these world class athletes. Not only was cliff able to run that 544 mile race without dying, he won beating all the other racers by nine hours, breaking the record, and becoming a national hero in process. What's really amazing is when they told him that he had won the $10,000 prize, he looked confused and said he didn't know there was a prize, and he decided to share it with the other runners. When asked how he was able to run all night long, cliff respond that he grew up on a farm where they had about 2,000 herd of cattle, and because he couldn't afford horses, he used to have to round them up on foot sometimes running two and three days nonstop. So throughout the race, he just imagined he was chasing after the cows and trying to outrun a storm. Old cliff's secret was to keep on running while others were sleeping. You know, the Bible tells us that the race is not necessarily to the swift, something like aesop's parable of the tortoise and the hare. The tortoise just kept on plodding along. That's why Jesus tells us in Matthew 24:13, "he that endures unto the end, the same will be saved." Now you might slip and fall during the race. You might even get off to a bad start. But in the Christian race that we run, the main thing is you want to finish well. Keep on running, friends, and don't give up. The heavens were parted for him. The Holy Spirit came down. This is what God wants you to experience. You come to Christ, your sins are washed away, you become a new creature. It's a land of beginning again, and how many of you wish you can restart. "For I was hungry and you gave me something to eat, in as much you shall do it to one of the least of these, my brethren, you did it to me." Have you ever heard the expression before, they eat like a bird, talking about somebody that has a minuscule appetite? Well, you might want to think twice the next time you use that expression. For example, take the humming bird. In order for it to maintain its incredible metabolism, it has to eat about 50% of its body weight every day. To put that in perspective, if a 100 pound woman was to eat like a humming bird, she would have to eat 50 pounds of sugar a day just to maintain her body weight, imagine that. Maybe you don't want to imagine that. Or perhaps you want to consider this another way. The humming bird typically consumes between four to seven calories a day, on the other hand a human about 3,500 calories a day. But if you were to eat like a bird, a humming bird, you'd have to eat over 150,000 calories a day. Oh, that's like a man of 170 pounds that would be eating 3,000 oreo cookies. Under normal conditions, a humming bird needs to eat every five or ten minutes. But there is actually one time during the year, the humming bird will eat its entire body weight every day. You see once a year they make this migration 500 miles across the gulf of Mexico from Texas to the yucatan peninsula. In order to do that, the humming bird feasts on nectar and gorges themselves on this nectar for about a week, doubling their body weight. That's the only way they can store enough calories to help them with their 70 wing beats per second or roughly 4 million wing beats on that journey. You know, in the same way, friends, as we near the end of time, we need to be feasting and gorging ourselves on the nectar of God's Word. We've got to be able to have that strength to get us through the times of trouble that are ahead. So when it comes to the Bible and your personal devotions, if you're going to eat like a bird, eat like a humming bird.